Good options and access for shopping are major issues for residents of Prince George’s County, Maryland, which is why attracting new retail is one of the county executive’s top priorities. County Bureau Chief Tracee Wilkins reports. Good options and access for shopping are major issues for residents of Prince George’s County, Maryland, which is why attracting new retail is one of the county executive’s top priorities. For decades, Landover Mall was an example of thriving retail in the county, but that changed in the late 1990s when it seemed new stores in the county were doomed to fail. “Crime started rising, we had challenges in the county overall and with not putting investment back into it, watching retail change and not doing anything about it,” Prince George’s County Economic Development Advisor David Ianucci said. Residents hoped the opening of the Boulevard at the Capital Centre in the center of the county would turn things around but years later, anchor stores left and many other stores followed. “There were some unfortunate criminal events that occurred within the first six months of that place opening, and it got a lot of bad publicity and it scared people away,” Ianucci said. At Laurel Mall, once the center of community life, stores began leaving in the early 2000s, and soon only a shell was left. But it had a resurgence with a mall the residents helped create down to choosing the stores. “Couple of planners reached out a couple weeks ago because Fairfax County is interested in doing a model more similar to ours, so they wanted to know our planning process and how we got the community involved,” Laurel Economic and Community Development Department Acting Director Christian Pulley said. County officials said the secret to duplicating this kind of success around the county started with a focus on crime. “You can’t have economic development if you’ve got crime,” Prince George’s County Economic Development Corporation President and CEO Jim Coleman said. With the police department leading historic drops in car thefts and violent crime, county government turned to job growth. The county is attracting higher paying industries, like medical and high tech, and is leading Maryland in job growth. 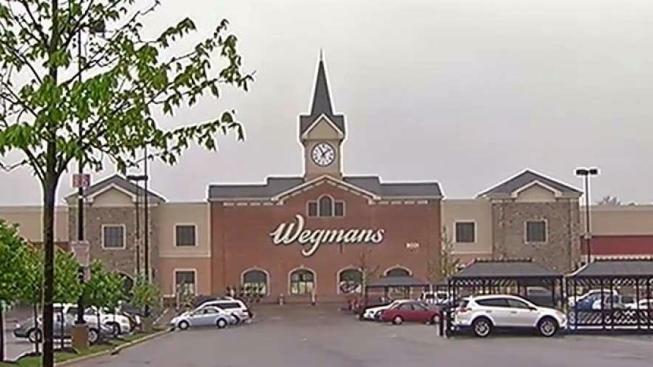 Rising incomes means successful retail, like the Woodmore Town Centre, home of the county’s Wegmans. It will soon have a Nordstrom Rack. But many residents crave higher end retail within the county. The county’s economic developers say that’s easier said than done. “While we are a wealthy county relative to the United States, relative to the Washington, D.C., area, Howard County, Montgomery County, Fairfax County, northwest Washington are much wealthier,” Ianucci said. That means a Saks Fifth Avenue or Neiman Marcus may not be in the county’s immediate future but, but there are other options, especially in dining.